The Duke and Duchess of Cambridge have been greeted by cheering crowds at Government House in Ottawa. The newly married royal couple are visiting Canada on their first official overseas tour. 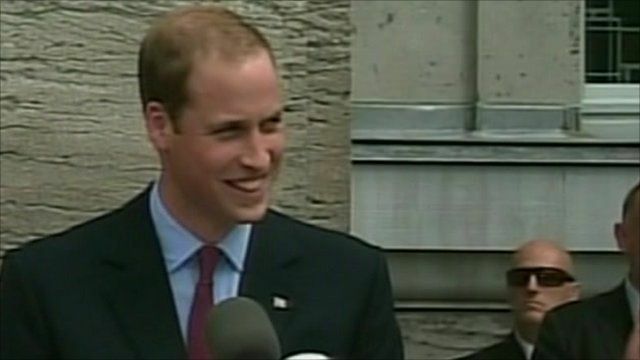 Prince William described his "longing" to come to Canada with his new wife, during a short speech outside the building, drawing applause from the crowds.